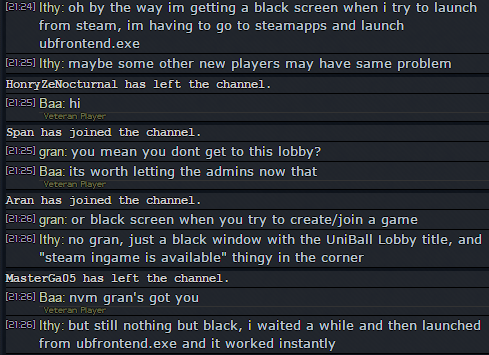 Some new players are getting only a black or white screen when they first join the lobby. The client then stays on this black and white screen. 2) Head to "Manage 3D Settings" > Program Settings > Select Uniball, or add it if it isn't there. 3) Select the preferred graphics processor for the program: "Integrated Graphics"
If Uniball works normally after restart then you have some software that interferes with it, and to identify it follow the steps in the section "How to determine what is causing the problem by performing a clean boot"
When you are done testing remember to revert Windows to its normal boot sequence by following the steps in the "How to reset the computer to start normally after clean boot troubleshooting" section. Heard it doesn't work for taigs who are no long oot the jail!